Saturated colours. Whimsical subjects. Fish eye effects. Extreme wide angles. Capturing the right moment at the wrong time or the wrong moment at the right time. 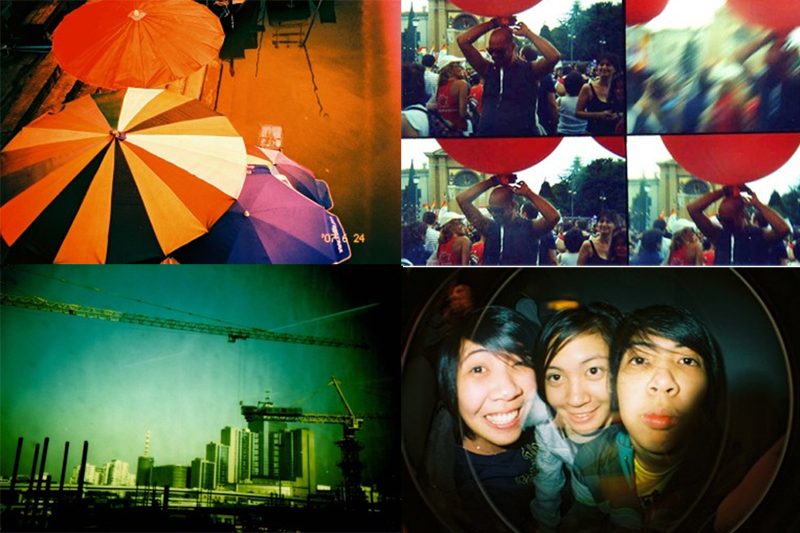 Welcome to the world of lomography. Although I’d probably encountered this type of free-wheeling and exuberant photography somewhere before, I first really took note of it a couple of days ago when I came across this post on Coelho culture. I was absolutely captivated by the plucky little camera depicted there and subsequently embarked on a whirlwind discovery of the wonderous art of lomography. Strangely enough – and as if to confirm the awesomeness of my new obsession – a mere 2 days later Lauren from Glossary posted some lovely snaps she had taken with a friend’s Holga camera on her blog! What I found out about lomography during my little research session is that pretty much anything goes! As long as you’re having fun, shooting from the hip every once in a while, capturing the moment and not giving too much thought what you’re doing… you’re well on your way to becoming a lomographer. I also discovered that the term lomography is derived from a type of Russian camera by the name of LOMO, but that you can use any type of camera (film or digital) to practice the art! However, I think going the old-school film route might be a lot more rewarding than using your digital camera. If you can’t see what you’re shooting as you go, you will probably be less worried about the results, more spontaneous and able to enjoy the experience. If you’re keen on going all out retro you will be pleased to know that you can find awesome cameras and accessories at Cape Town-based Exposure Gallery. They have a wide variety of products and also offer editing and printing services. Aaaaand… what’s more… I was pleasantly surprised to find that the actual cameras are really not that expensive and most are cute as buttons! 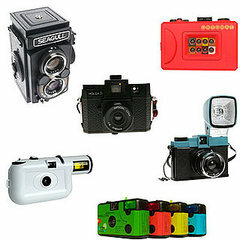 If you want to find out more about the art of lomography visit this website. It will tell you everything you want to know and also showcases some of the most beautiful lomo pics!